Offers in improv come in many different forms. This workshop will focus on working with offers from a technical improvisor. If you've never worked with a tech before this is a great opportunity to expand and open up your palette to new ideas. First, we will focus on responding to musical underscoring in scenes, how music can both support and drive a scene and drive the choices made by the improvisor one stage. We will then expand to sound effects, how to respond to offers and incorporate sound into a scene on stage as well as how to send offers back to a tech. Through this workshop you will learn how to work with a tech to incorporate them as an invisible member of your improv team on stage. ​Michael Sousa is an actor and improvisor from Vancouver, Canada. He began as an actor for stage in plays such as One Flew Over The Cuckoo's Nest, as well as Shakespeare plays with Bard in the Valley. He recently became the Artistic Director for QueerProv, which he has been a troupe member of for the past 3 years. Michael is also trained as a technical improvisor for QueerProv. He began his improv career training with Vancouver TheatreSports and Instant Theatre, and found his way to QueerProv soon after. Michael guests with other improv troupes around Vancouver, such as The Fictionals, The Radical and The Dirty Betty Show. 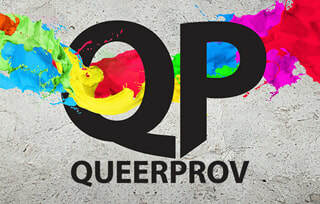 He is now a member of the Queer Improv Society of Vancouver's faculty, leading workshops for the LGBTQ community and allies, creating a safe space to tell queer stories through improv. Brendan brings several years of Tech Improv experience having been a part of hundreds of shows for QueerProv and Vancouver TheatreSports. He has worked shows with many top improvisors including Ryan Stiles and Colin Mochrie. After many years of working in tech for theatre and other forms of media Brendan finds improv to be incredibly freeing. He can create environments and landscapes for improvisors on stage with a wide array or sound, music and lighting. All made up on the fly, just like what you see on stage. His biggest thrill is offering the best support possible for a killer improv scene.